Care for a dance old sport? Break out your flapper dress and your dancing shoes! 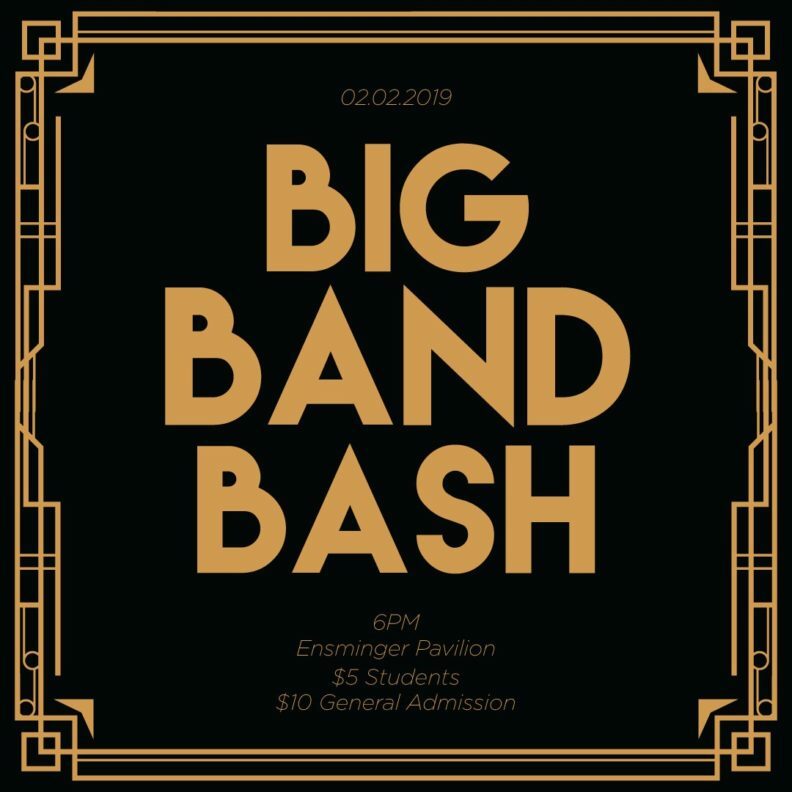 Kappa Kappa Psi is hosting their 2nd annual Big Band Bash Gatsby style. For only $5 for students and $10 for the public (this event will be kid friendly! ), there will be swing dance lessons provided by the Palouse Swing Devils, food and drink, a silent auction that features goods from your favorite stores around the Palouse, and jazzy music. 100% of the proceeds from the silent auction will be donated to the Jazz Bands. We will be accepting cash, card, and venmo for the event! Doors open at 5:30, dance lessons start at 6, and the Jazz Band starts playing at 7.